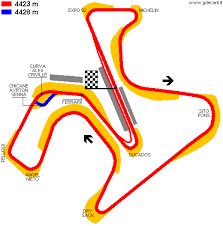 Jerez is a racing venue in Spain with 45 laptimes.This page represents the 4.4 kilometer (2.8 mile) configuration of this track. @FastestLaps - There are two configs here. With A. Senna chicane and without.